Thank you, Marla. Welcome friends! A warm welcome to each one of you. It’s May the Fourth—and yes, the “Force is with us” in Colorado! A new, beautiful home for our newest NIST major program area, the Communications Technology Laboratory. 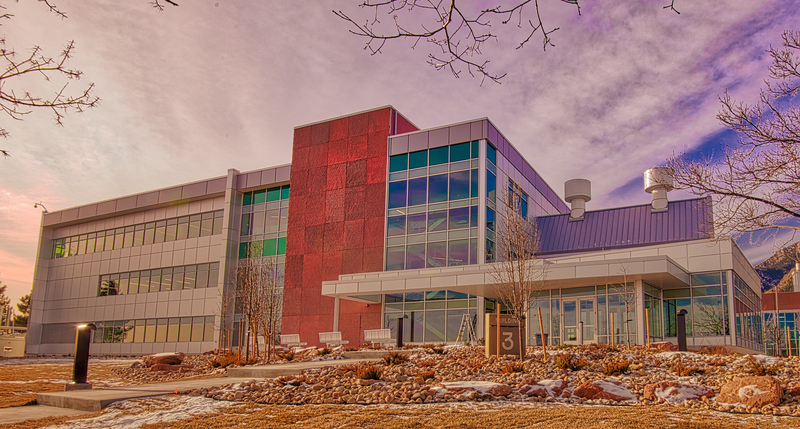 A new state of the art facility for telecommunications research at the National Institute of Standards and Technology in Boulder, Colorado, was opened in May 2018. The $20 million building was completed on time and under budget to meet LEED Silver criteria for sustainability and minimized environmental impact. A beautiful backdrop here at the base of the Rocky Mountain front range in my home state of Colorado. And good friends to help us celebrate a job well done. We’re so grateful, because you all have had a part in the progress we see at NIST. It’s also especially gratifying to have Colorado’s own U.S. Senator Cory Gardner joining us today. He is a true champion for science and NIST and Commerce. We’ll be hearing from Senator Gardner shortly. We’re also pleased to welcome Boulder Mayor Suzanne Jones; Ft. Collins Mayor Wade Troxell and Ft. Collins City Manager Darin Atteberry; Boulder Chamber of Commerce President and CEO John Tayer; Rulon Stacey, Chair of the NIST’s Baldrige Board of Overseers. Rulon, welcome back home to Colorado! James Thompson from Senator Michael Bennet’s office, Jeremy Rodriguez from U.S. Representative Ed Perlmutter’s office, and so many more friends and colleagues. Colorado is home to many companies, organizations and communities that strive for performance excellence. Some of them have achieved the highest standards, recognized by the Baldrige Award. Here at NIST–Boulder and our joint institute, JILA, the U.S. National Academies of Science National Research Council completed their review yesterday. They shared their conclusions: NIST conducts the highest level research in the nation, indeed in the world, in the fields of quantum science and engineering and applied physics. They found NIST research to be truly collaborative, interdisciplinary and impactful. We’re so grateful to you, Senator Gardner, Senator Bennet and your colleagues in Congress for providing the $20 million investment needed to completely renovate this historic space into a modern, state-of-the-art research facility. And when I say completely renovate, I mean: Totally. In the entrance foyer, you see some “before” and “after” photos. This building had a very different purpose when it was constructed in 1952. This was one of the first buildings on the new Boulder campus during a time when NIST’s original headquarters was still located in downtown Washington, D.C. The rest of the campus here in Boulder was not dedicated until 1954 by President Dwight Eisenhower. Back then, this was home to the National Bureau of Standards Cryogenic Engineering Laboratory. Its staff members were dedicated to research on liquid hydrogen and to its production technology. At the height of the Cold War, liquid, ultracold hydrogen was a rare, precious commodity, critically needed for research and for construction of the first H-bomb. Many years later, this same building would supply the liquid hydrogen and liquid oxygen used to send the first men to the moon. Today, the mission of the 100 NIST staff members who now work in this historic Building 3 is just as important. They are improving our understanding and the use of another precious resource, the wireless communication spectrum. For example, the Public Safety Communications Research program works to provide interoperable broadband communications technologies to police, firefighters and other first responders. This research is critically important to national security, the integrity of GPS and satellite communications. This group partners with more than 70 vendors, including all of the major U.S. telecommunications companies, on the Public Safety Broadband Demonstration Network. Previously, their state-of-the-art test bed was housed in a rather decrepit older wing of our main Building One. Their new Building 3 labs were designed from the ground up to meet the specific needs of public safety communications research and development. There’s an innovative, flexible IT infrastructure that NIST researchers and their many collaborators can use to set up multiple virtual networks with strong cybersecurity. Unlike their old home, the new Building 3 also provides efficient power management; environmental controls; flexible collaborative research facilities; and a new Virtual Reality development, testing and demo space for first responder situation simulation and training modules. The tours after the program will include a visit to this VR space. Another advantage of this facility is the ability to co-locate communications technology researchers in one space to maximize collaboration through interdisciplinary work teams. But perhaps the best thing about this new building is what it doesn’t do. It’s designed to have the lowest impact on the environment possible. We’re very proud of the fact that the building was designed to meet the requirements of the Green Building Council’s LEED Silver ratings. LEED stands for Leadership in Energy and Environmental Design, and meeting LEED criteria, especially in repurposed space, is difficult. The rewards, however, are dramatically lower energy and water bills and more sustainable practices for protecting the environment. NIST’s Skip Vaughn will give you more construction highlights shortly. Finally, even though this building is a dramatically better place for research with a wealth of environmentally friendly features, I’ve saved the best for last. I personally am most proud of the fact that it was built on time and under budget. That’s pretty hard to do in today’s federal budgeting, procurement and construction standards environment. The people here in this room pulled it off. Thanks to each of you—and bravo! Now, I’m pleased to introduce Senator Cory Gardner. Senator Gardner is a fifth-generation Coloradan who was elected to the U.S. Senate in 2015. Prior to that, he served in the U.S. House of Representatives for 4 years and in the Colorado House of Representatives for 6 years. He serves on several important U.S. Senate committees, including the Committee on Commerce, Science and Transportation, which oversees NIST’s work. He’s been a strong supporter of NIST, and we’re delighted he could take time from his extremely busy schedule to be with us today. Please join me in welcoming Senator Gardner. 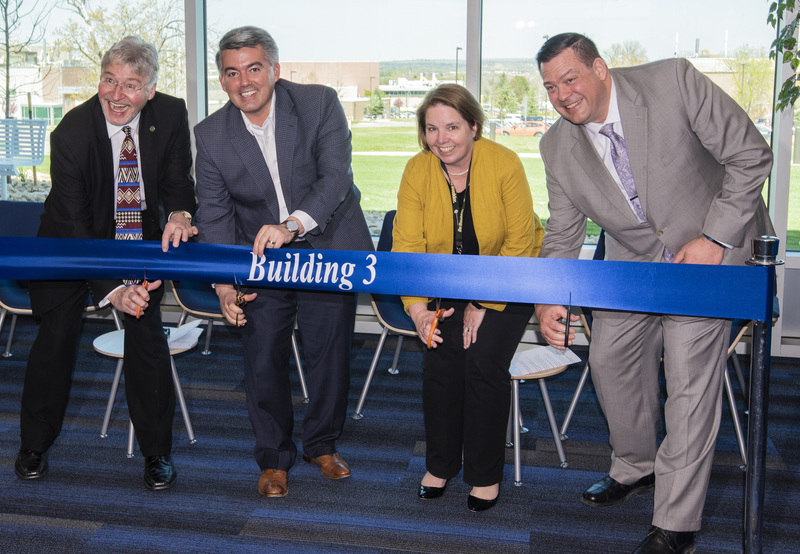 It’s all smiles as the ribbon is cut to dedicate Building 3, a new state-of-the-art facility for telecommunications research at the National Institute of Standards and Technology in Boulder, Colorado. From left to right: Undersecretary of Commerce for Standards and Technology and NIST Director Walter Copan, U.S. Senator Cory Gardner, NIST Boulder Director and Director of the Communications Technology Laboratory (CTL) Marla Dowell, and Chief Facilities Management Officer Skip Vaughn.